Can pipe couplings provide noise and vibration control for HVAC systems? Yes, there is proof that pipe couplings provide noise and vibration control in HVAC systems. 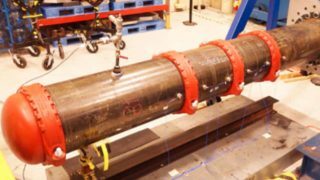 More specifically, there is proof that Victaulic couplings reduce pipe noise and pipe vibration and, in fact, they do it better than some of the other more traditional equipment vibration attenuation solutions. The physical properties of a flexible grooved mechanical coupling make it intuitively noise dampening. First, the housings are made of ductile iron, which naturally absorbs sound. Second, the housings are tightened around and slightly compress the gasket, but do not bottom out in the groove. This allows the gasket to act like a vibration dampener. But you asked for proof. We were thrilled to learn the results of this testing. 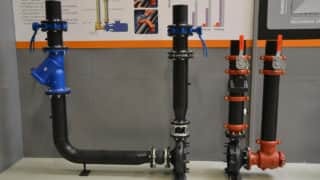 The results showed that the vibration attenuation provided by three Victaulic pipe couplings, installed near the source of vibration, outperformed double sphere rubber connectors and stainless steel braided pump connectors. These specialty connectors can be quite expensive to purchase, as well as to maintain, which is why we were excited to be able to offer our customers not just an alternative HVAC equipment noise and vibration solution but a better performing option. 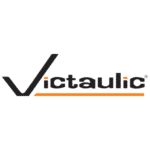 Customers who choose to leverage Victaulic grooved mechanical pipe joining for their mechanical piping system connections will realize all of the noise and vibration benefits without having to purchase anything special, additional, or that requires maintenance. That is how we are engineering confidence into every build. If you’d like to go deeper into our Sound Attenuation Testing Results or our White Paper covering noise and vibration control in HVAC systems, we encourage you to click the links provided.